Hawaii has become a favourite jaunt for many Aussies due to the cheap airfares offered by Jetstar and they are the only airline offering direct flights from Melbourne. Although the airfares can be cheap, everything else can be quite expensive. This is a guide to some of the things we have found holidaying on all of the islands. Probably the most expensive place to stay and eat is Waikiki, it’s full of tourists and the amount of hotels is phenomenal. They can range from price and depending on the quality and the time of the year. Most of the hotesl also sting you for a thing called a “resort tax” which is an absolulte rip off. This is supose to cover things outside of the room rate, but most other parts of the world, these are already included. 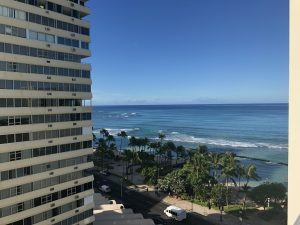 The one hotel we have found not to include a resort tax is the Hitlon Waikiki Beach. The reason I like this hotel is for a number of reasons. The pool is large for Hawai, not to say it’s a huge pool, but it’s bigger than average and there are plenty of places to sit if you want to catch some sun. 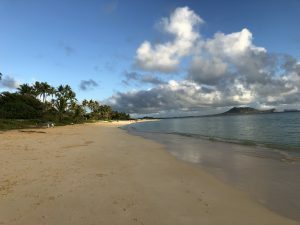 Recently we stayed at the Alohilani Resort through Luxury Escapes which already included the resort tax, but at over AUD$440 per night, I didn’t think it was worth the extra amount. We did have an ocean view room although if you want one of the beach front rooms, expect to pay big $$ for them. The food in Waikiki is very expensive, we have dinned at a number of restaurants, and they can range in price, especially when you are paying USD. And most forget about the tip which can range from 15-20% depending on your service. One of my favourite restaurants is the Hula Grill located in the Outrigger hotel. Breakfast is amazing and they have the best strawberry waffles. Another favorite is Roys, but again on the pricy side. If you want to each on the cheap, I would suggest that you get a place with a kitchen so you can go to the supermarket and buy your own food, this can save you a bit of money, but in my view, you need to eat out to experience the differnt cuisine’s and flavours. Some of the best cocktails are at Tommy Bahama’s. Here is there recipe for the famous Mai Tai. There are lots of places to shop in Hawaii, but if you want to find youself a bargin, then go to Ross (located a number of places in Honolulu) as well as TJ Max (Ward Village) along with Nordstrom Rack. Although Nordstrom Rack is a little more up market so their prices arn’t quite as cheap as Ross. I’ve found the Waikele Outlets to be a little more on the espensive side and without any outlets, what is considered cheap or are they just trying to fool us. But it pays to shop around and if you see something you like, grab it. Also don’t forget the tax which is an extra 4% on Hawaii and 4.5% on Oahu, but the state allows business to charge their customers a maximum of 4.712% to help recoup some of their total GET (general excise tax). Don’t forget to add this on to the original price of your goods. 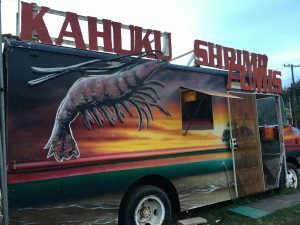 Another one of the rip offs around the US in general and Hawaii is no exception. Here are some things you probably don’t know about the car rental business. Avis owns Budget, Zipcar and Payless. Hertz owns Dollar and Thrifty. Enterprise owns Alamo and National and Advantage owns E-Z Rent-A-Car. Prepaid petrol charges can have it’s appeal, especially in Hawaii where you need to pre-pay for your fuel at any petrol station, however the fuel option is heavly tipped in the rental cars favor as you pay the cost of having them refuel your car and it’s always much higher than doing it yourself. Also, when you pickup your car, check what petrol stations around close by, that way when you return your car, you know where to fill up. Insurance can also be another rental car nightmare. Check out your travel insurance, some companies offer cover for rental cars which is much cheaper than through the rental car company. If using a credit card to secure the car, check that you have coverage on your card. 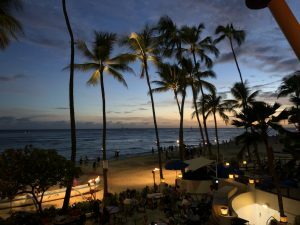 Also remember if you pickup your car at the airport and want to return it in Waikiki or another location other than where you picked it up, the fee can be considerably higher. I was recently quoted an extra $200 to drop my car back in Waikiki after picking it up from the airport. So I opted to drop it at the airport and catch an Uber back to the hotel for an extra $30. There is a lack of money changers that I’ve seen around the Waikiki area, but the best option for a first timer is to bring some US dollars and get yourself a 28degrees card. Pay no foreign transaction fees on purchases when travelling which makes this a great card. If you are a return visitor, then open a bank account on the island (which I’ve just done), then you can transfer money into the account when the dollar climes. Then all you need to do is access the account from any ATM without any fees. Just make sure you use the card at least once every six months to keep the card active. I’ve opened an account with the Bank of Hawaii and they have a no fee account. Generally coffee in the US is not as good as in Australia, but Hawaii is a coffee growing island and there are still some good coffee places around. One of the best coffee places I’ve found is Kai Coffee which is located in the Hyatt Regency Hotel in Waikiki (on the ground level). They serve a great cup of coffee. Lanikai is one place I would defiantly come back to. Lanikai means “heavenly sea” in the Hawaiian language and if you ever visit there you will see why it was given it’s name. It’s pristine beach is a favorite of many locals and it was unfortunately that we didn’t stumble across any other Australians during our stay there. Check out my drone footage from high above the beach (September 2018). You will understand why this is rated one of the best beaches in the USA. Turtle Bay is another hot spot, but again, expect to pay big bucks here. 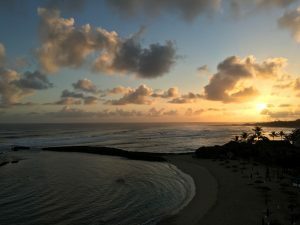 The location is remote on the north shore of the island, but the beach is awesome and expect to see turtles in the water or sun baking on the rocks. This area is famous for it’s food trucks so there isn’t any need to eat at the restaurant at the hotel, but you need a car! 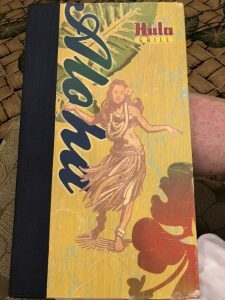 You are currently reading An Australian’s Guide to Hawaii at My Writings.